A thousand years has passed since the events in the Secrets of the Lost Tomb. However, the work of the Eternal Order of Perseus continues, keeping humanoids safe from the Great Old Ones. Now with their huge space station, the current members of the Eternal Order of Perseus face all-new dangers. Will they be able to keep the universe safe from the chaos and destruction that the Great Old Ones want to spread? 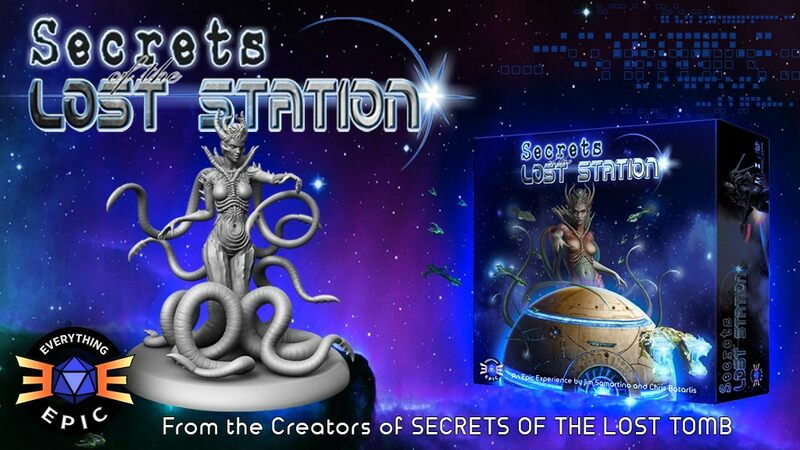 That's up to you in Secrets of the Lost Station, a new cooperative adventure board game from Everything Epic Games. The project is up on Kickstarter now. 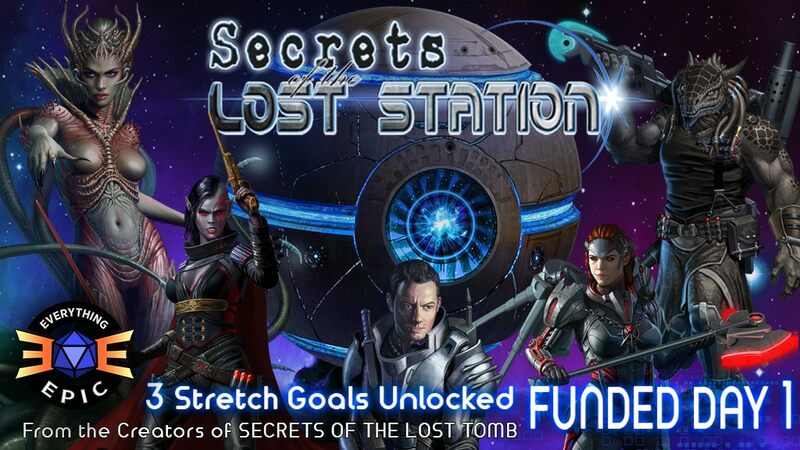 Everything Epic Games has launched their Kickstarter campaign for Secrets of the Lost Station. This cooperative board game is a sequel to their popular Secrets of the Lost Tomb game. It takes place far in the future, where the last of the Order of Perseus continue their mission of protecting humanoids from dangers, as well as seeking out alien artifacts of immense power.